"Warming up local SharePoint WebApplications"
"=> Local SharePoint sites warmed up"
The create a scheduled task in Task Scheduler to run the batch file C:\STARTUPSCRIPT\spWarmUp.bat at say 4am every morning. 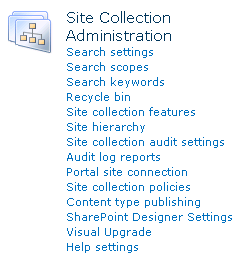 Note 2: This resolves the problem of SharePoint sites loading slowly first thing. Default behaviour in IIS is to refresh application pools at 2am every day. Specifically resolves "An error occurred while trying to fetch data from your SharePoint site. The SharePoint Server Publishing Infrastructure feature must be activated at the site collection level before the Publishing feature can be activated." Publishing Site, Publishing Site with Workflow, Enterprise Search Center, Enterprise Wiki, and FAST Search Center. This is a free download from Microsoft and can be installed on a workstation or server. Note: From http://sharepoint -> Site Actions -> Edit in SharePoint Designer , this will initiate the download of SharePoint Designer 2010 if not already installed. One way is to use IIS and Directory Browsing to present pre-existing fileserver shares, folders, and files via the SharePoint. b) Could insert an OWA weblink – check with your Exchange administrator regarding overcoming the problem with forms based authentication, which results in the username and password prompt coming up, unless already pre-logged into OWA. Permissions are set at a site level. Can create subsites off the main site to generate an acceptable permissions structure.